A highly regarded clinical hypnotherapist with a full-time private practice, Dr. Stone’s innovative techniques and high success rate have put him in the forefront of the ever-growing mind-body movement. Formerly affiliated with Partners in Healing, a physician-directed health-care clinic, Dr. Stone started his hypnotherapy career in the early 1980s. Most of Dr. Stone’s work involves health problems, including anxiety, cancer, diabetes, hepatitis, pain management, smoking cessation and weight loss. Dr. Stone has received an American Board of Hypnotherapy “Special Recognition Award” three times for his hypnotherapy contributions. Dr. Stone is also the host of Inner Quest, a Chicago-area cable television show. He and his guests discuss ancient and modern healing arts and the many paths leading to self-discovery. Inner Quest airs Sundays at 1 p.m. and Tuesdays at 7 p.m. on Channel 19, which serves Bannockburn, Deerfield, Fort Sheridan, Highland Park, Highwood, Kenilworth, Lincolnshire, Riverwoods and Winnetka, Illinois. Other Chicagoland cable providers also have the discretion to air Inner Quest. Dr. Stone has interviewed Daniel Amen, Joan Borysenko, Ram Dass, Larry Dossey, Judith Orloff, Bernie Siegel and other notable best-selling authors. Visit: Inner Quest or Inner Quest. Dr. Stone’s first patient was himself! In his very first self-hypnosis session in 1982, he ended his twenty-year nail-biting habit. Dr. Stone next applied hypnosis to his own weight problem. Since 1983 he has not gained back any of the fifty pounds he lost thanks to hypnosis. Dr. Stone has not missed a day of self-hypnosis since that successful first experience in 1982. Pursuing his life’s work and utilizing his own unique skills since that time, Dr. Stone has helped people in all walks of life achieve their physical, emotional and financial goals. 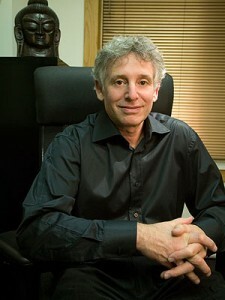 You can read some of Dr. Stone’s innovative hypnosis methods contained in his articles, “Stone’s Light Technique,” “NLP as Simple as XYZ” and “Letting Mother Nature Help .” For those who want to use hypnosis to diet or recover from an illness, please see the “In the Name of Mother” and the “ Cosmic Cycle” articles. Dr. Stone’s article, “ Will DNA Prove the Existence of Past Lives” brought him national and international fame. Because of Dr. Stone’s extensive knowledge of hypnosis and past life regression, Hidden Treasures Production and Koch Vision featured him in a documentary film that is set to be released in March, 2007. A well-known speaker, Dr. Stone earned his doctorate in clinical hypnotherapy from the American Institute of Hypnotherapy. Prior to that degree, he received a Master of Business Administration from Loyola University and a Bachelor of Arts in Philosophy from the University of Nevada.